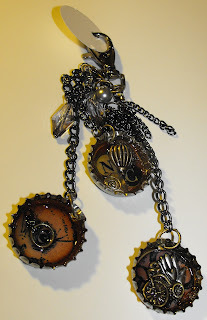 Again I attacked a poor book and dug through the deep depths of my crafting stash and found things I can not remember acquiring! She loved it too and the best thing is as it is 8 x 8 it will fit perfectly in one of the Ikea box frames - so a card and gift all in one. 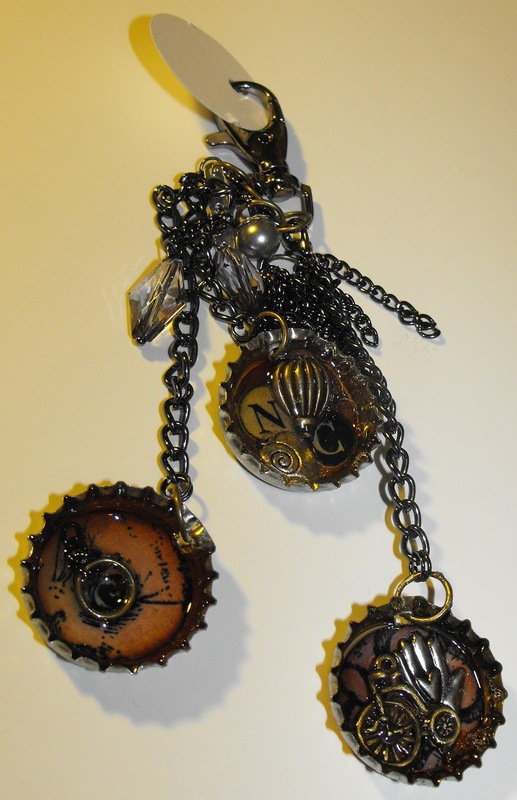 I also made her a bag charm out of wait for it...... bottle tops! Yep I have gone mad. First you punch a hole in the bottle top, I used my Crop-a-dile for that then sanded the top of the bottle top to age it abit (and disguise the fact it was a beer bottle top!). Then I cut a 1 inch circle out of card then distressed it and stuck it inside, I used glossy accents. 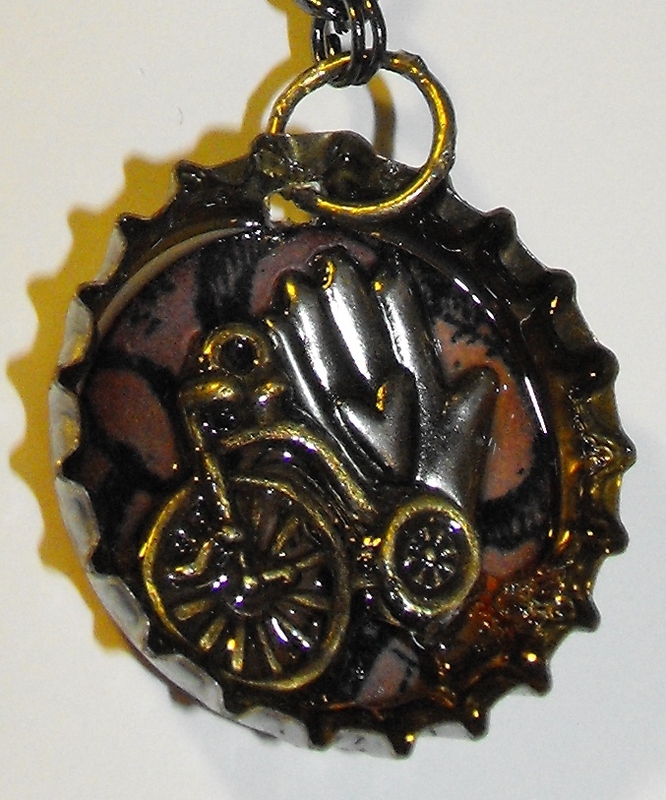 I then added some charms and filled the bottle top with the glossy accents! She unwrapped it and put it straight on her bag - I guess that's a sign she liked it! She too got treated to a little'un creation..